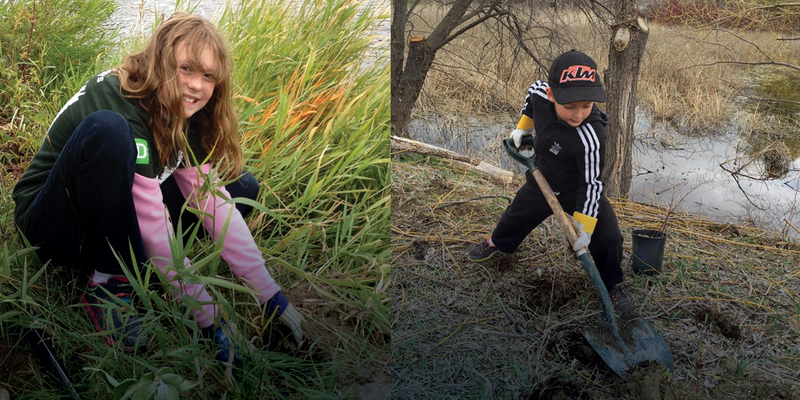 We can all have a positive impact on nature around us by caring for natural habitats in our own yards, our neighbourhoods, and our communities. Here are tips and links to resources that will show you how to create and care for your own spaces, and in doing so, help your local environment. Grasslands Nursery: A native plant and dryland species nursery located in Summerland with garden information and garden design services. 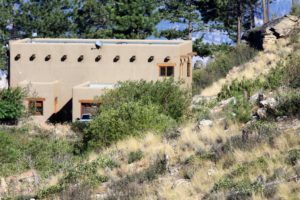 Sagebrush Nursery: A retail and wholesale nursery in Oliver with Okanagan native and arid landscape plants, providing restoration and installation advice and services. 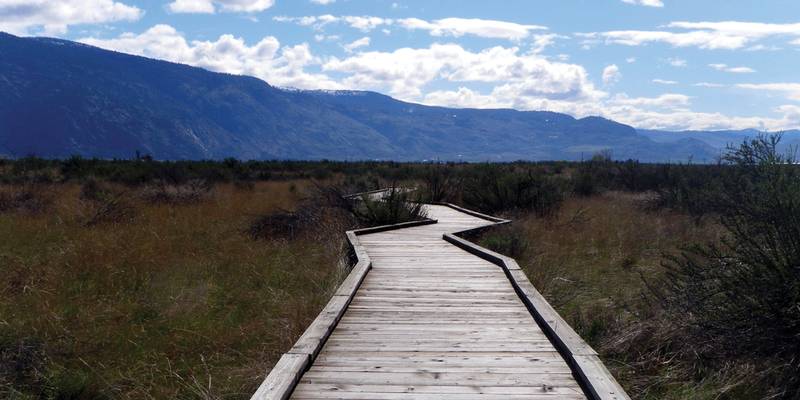 Naturescape BC (Southern Interior): A guide to habitat gardening in the Southern Interior. During the summer, homeowners use more then sixty percent of domestic treated water for their lawns and gardens. With more people and a shrinking supply of, our communities face increasing regulations for saving water. 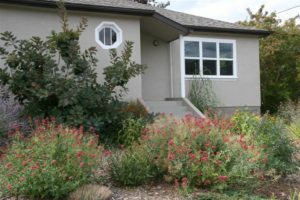 Using drought-tolerant plants (xeriscaping) and low-water landscape techniques will save money and water. 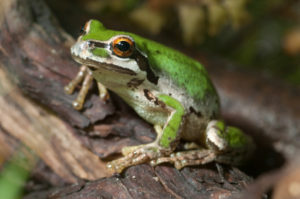 Build a pond to attract bird and amphibians. Click here for caring for your wetlands. Identify south Okanagan amphibians Amphibian Id Card and Click here to find out about frog calls and frog monitoring programs. Never release non-native fish, frogs or reptiles into natural ponds or lakes. Non-native bullfrogs and turtles will eat and out-compete local wildlife for food. Be Bear Aware – Black bears are destroyed every year when they become habituated to human garbage. Bear-proof your yard with a few simple steps outlined in the Bear Aware web site. 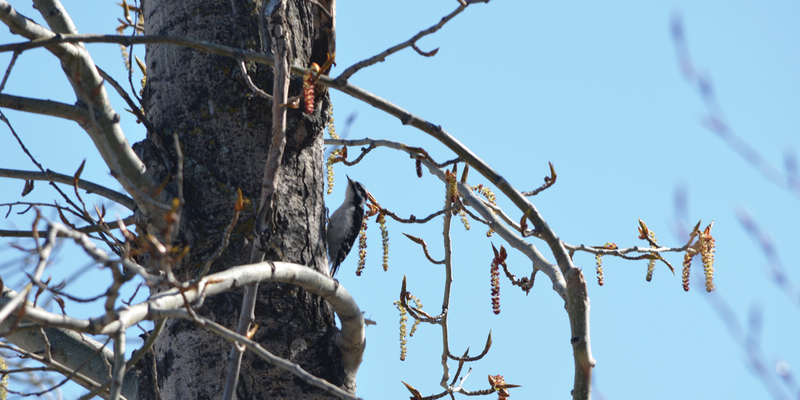 Attract birds – Birds need trees and shrubs for nesting and safe resting habitat. Cats are a major cause of bird mortality so keep cats indoors. Bird feeders and nest boxes construction plans and advice on attracting birds can be found here. Bat habitat – Tips on attracting bats and preventing bats from roosting inside your home can be found by visiting the Bat Conservation International website. Control invasive species – Weeds and invasive ornamental plants can overtake both backyard and natural habitats. 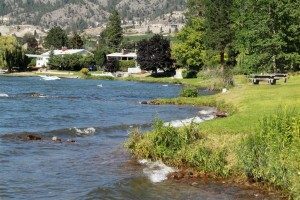 The Okanagan and Similkameen Invasive Species Society– OASISS web site will help you to identify and manage these species. Plant a butterfly garden – read about British Columbia butterflies and how to attract them. Fire Proof with Care for the Environment. Learn more about wildlife trees and how to care for them. 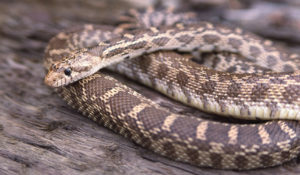 Our region has five species of snakes whose populations are threatened or endangered. Snakes are valuable for rodent control. The Western Rattlesnake is the only venomous snake and is a reclusive snake that tries to avoid human encounters. Get to know local snakes and recommended practices to keep them and us save. Homeowners on small lots as well as large ones, have the opportunity to do their part in protecting natural areas on and near their property. Minimize development on the natural areas on your land. Locate driveways and structures away from important wildlife habitat and travel corridors. Preserve and restore sensitive habitat areas on your property. If you build a fence, do so with consideration of wildlife movement and use a wooden rail/smooth wire top to help prevent injury to deer and other wildlife. Locate buildings or driveways away from steep slopes to avoid erosion. Store topsoil during the construction phase and reapply to reduce invasive plants from taking over disturbed soil. Use native plants on disturbed areas to prevent weed invasion and habitat loss. You may wish to consult the section on sensitive land development on this SOSCP site. 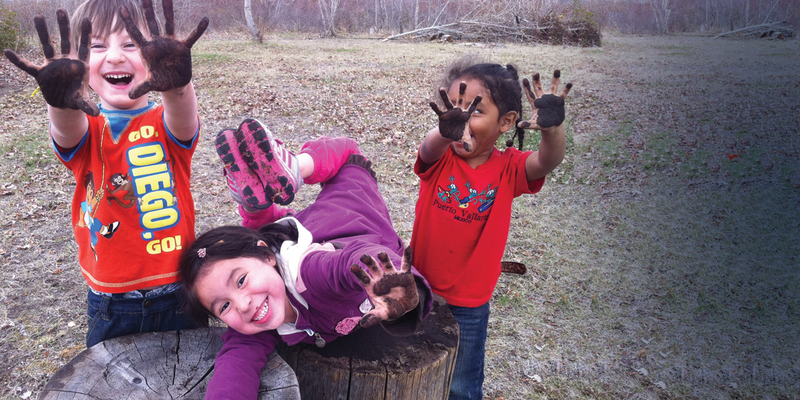 Residents can encourage decision makers to protect and conserve our important natural areas through appropriate planning and development, including protecting wildlife corridors and sensitive habitats, protecting adequate natural areas, and encouraging sustainable practices. 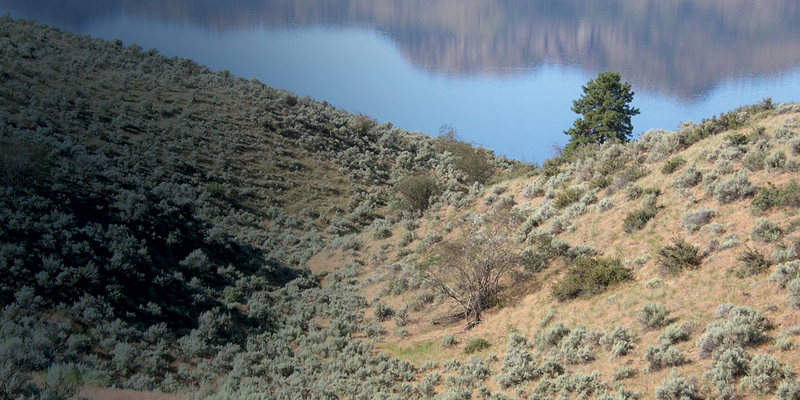 If you live in the Okanagan or Similkameen Valley, the most common natural habitat is sagebrush grasslands, or in the Oliver-Osoyoos area, antelope-brush grasslands. The publications below by SOS Stewardship, are guides to the plants and animals in these local ecosystems. Waterfront landowners have a unique opportunity to help maintain water quality in our lakes and creeks, read how here. Hard retaining walls can have an impact on sedimentation and erosion of lake shorelines, whereas natural vegetation provides wildlife habitat and helps stabilize shorelines. Replanting shorelines with small trees and vegetation will prevent erosion and help contain runoff from yards. Minimize the use of herbicides and fertilizers which can end up in the lake and affect water quality. Stream and lakeside property owners should familiarize themselves with regulations covering development and construction near watercourses. Dock structures require authorization by one or more government agencies, including permissions for ‘changes in and about a stream”. Check out Living By Water for tips on creating a healthy natural shoreline and beach, building docks, and controlling run-off. Riparian Habitat is the zone of water-loving plants along lakes, streams and wetlands. There are special regulations concerning building near riparian areas that you should familiarize yourself with. 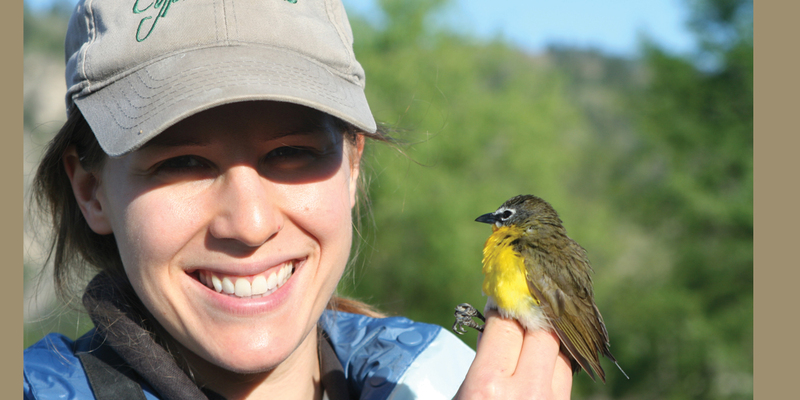 Learn more about riparian and wetland habitats and species at risk that depend on them.